Following are the instructions for the 2018-2019 Financial Aid renewal application process. More explanatory information is available on-line at gustavus.edu/financialaid or you may contact the Financial Aid Office. If your student is graduating, please disregard this post. Gustavus Academic and Merit Scholarship aid will be automatically renewed based on the renewal criteria of the scholarship. The following documents should be submitted to Financial Aid no later than June 15, 2018 which is the Gustavus priority deadline for applying for financial aid. A completed 2018-2019 Renewal FAFSA submitted on-line at fafsa.gov. The IRS data transfer is the recommended way to get your 1040 data into the FAFSA. We recommend you use the IRS transfer versus manually entering in your tax information. To be eligible for full Minnesota State Grant, your FAFSA must be filed before October 1, 2018. The FAFSA will ask students to fill out a Minnesota State Grant Form on the last screen of the FAFSA if it has not previously been filled out. If renewal FAFSA is flagged for verification by the federal processor or if Gustavus requires additional documentation to finalize your award, a reply is requested no later than June 15, 2018 or within 30 days from the date of Gustavus’ request. You can view missing documents on WebAdvisor. Campus Employment will be renewed on the financial aid award once students have returned a work contract. Supervisors already have students’ contracts. Signed contracts should be returned to supervisors by March 31, 2018. Awards will be completed soon after each file is complete. An e-mail will be sent to the student’s Gustavus email account instructing them to go to WebAdvisor to view their award letter. Subsequent revisions to an award letter will also be sent via email. Each student’s current financial statement is available on WebAdvisor. 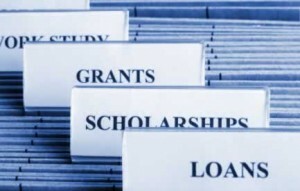 The Student Accounts Office will list the pending financial aid on statements beginning in July. Student’s may also go to gustavus.afford.com to view bill and make on-line payments. Students can grant their parents access to this site to make payments or set up a payment plan. Students are able to grant parents access to their student account, financial aid award, 1098T, Financial Aid Documents needed and other select areas on WebAdvisor. They pick which areas on WebAdvisor parents can view. Access can only be granted by the student. Please encourage them to grant your parent access so you can be kept informed. Contact the Financial Aid office if you have any questions!